In many sightings, the UFOs have a plasma-like appearance, like the plasma ball captured in the sky over Tijuana in Mexico on April 6, 2015. Some scientists assume that this UFO phenomenon is caused by highly charged atmospheric plasmas. 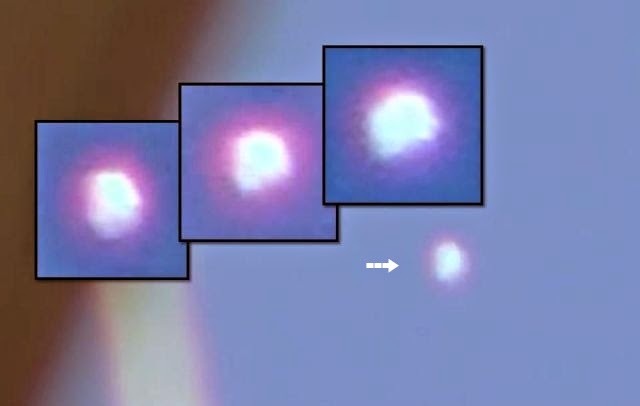 These were named unidentified aerial phenomena (UAPs). In a high-energy state, the UAPs are visible to the naked eye, but in a lower energy state they may only be visible in the infrared spectrum or on radar. The UAPs generally have a magnetic field about 5,000 times weaker than Earth’s, but the UAP’s field is pulsed and rotating, which seems to provide them with their source of propulsion. The UAPs were also capable of flying in formation and quite frequently formed complex geometric arrangements of three to five balls that gave a very good approximation of the underside shape of a classic UFO. These balls were able to move synchronously and were observed to be able to join and then part again. When flying in formation, light in between the balls of plasmas often appears to be blocked, giving the appearance of a solid craft. UAP or UFO? It remains a mystery. This is created by intelligent means I assure you.